Okay, so we’re all guilty of doing this. 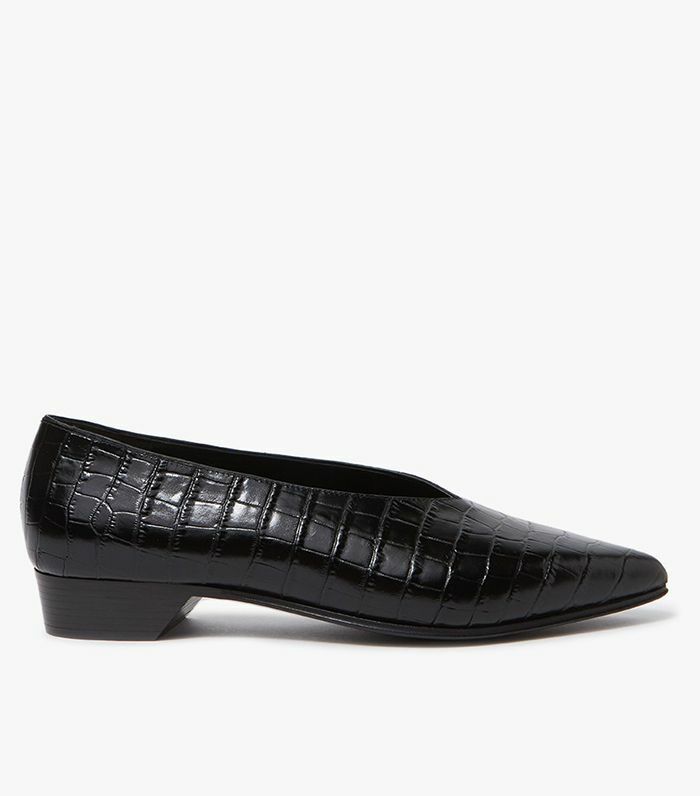 We’re so excited about our purchase of a beautiful pair of new leather shoes (leather mules were huge this year) that we instantly start wearing them before we get the chance to protect them. While that first step is crucial to making sure your leather shoes last, there’s little escaping the inevitability of acquiring scuff marks, nicks, and general dirt through multiple wears over time. When it’s time to sit down and clean your leather shoes, you’ll know. Luckily, it couldn’t be any easier to do yourself at home. 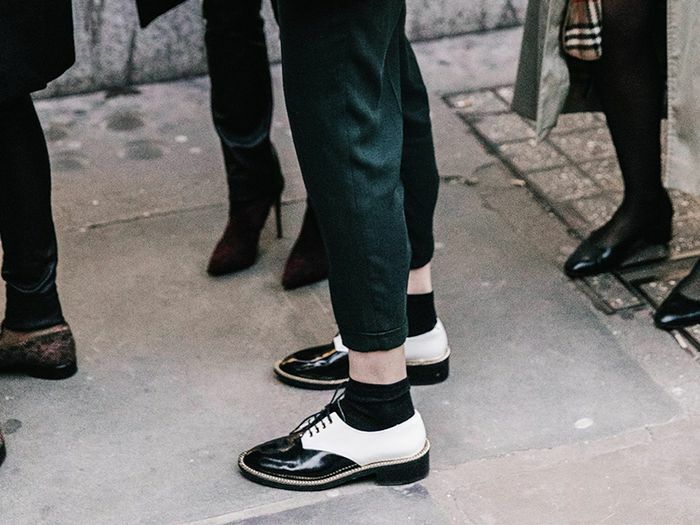 We broke down each step (and what you’ll need) to make your leather shoes look fresh-out-of-the-box new again. Go on to learn how to clean your leather shoes with this step-by-step guide. Brush off dirt, dust, and any random debris before you do anything else. We recommend using a brush specifically made for cleaning leather shoes. Brush gently along the seam and sole of your shoes careful not to scratch the leather accidentally. Remove the laces (if your shoes have them) before wiping the shoes down with anything! Take a clean cloth, dip in water, and wring it out. Add a bit of liquid soap or leather cleaner and wipe down your shoes. Follow up by wiping them with a damp cloth again to remove any leftover soap. Leave them out to dry in a cool, dry place. To remove salt stains, in particular, repeat the above step but swap in a mixture of one-half white vinegar and one-half water instead of soap and water. Traveling or on the go and need to quickly clean off a stain? Pick up a package of baby wipes. They’re pre-moistening and mild enough to be safe on leather. Now that you know exactly how to clean your leather shoes, feel free to shop away! We’ve chosen our favorite leather pairs here. Wear like this or tuck in the heel to transform them into mules. Lace-up boots look so cute with a floral dress. Our favorite shoe brand right now. Gucci loafers are a staple on any fashion girl's shoe rack. White shoes had us completely head over heels this fall. We love everything this up-and-coming brand does. Available in sizes 36.5 IT to 42 IT. A power boot style if we've ever seen one. These slingbacks are eclectic in the best way possible. You'll wear these minimalistic flats every day. Okay, now we want every heel to be a block wood heel. A black leather finish gives these classic sneaks an edgy feel. Rich burgundy is our favorite shade this time of year. We love these mules with a midi skirt for the workweek. Canary yellow is shaping up to be a major spring trend. Stock up now! These would be so cute with a quirky pair of socks. Now that your leather shoes are squeaky clean, see how to keep them that way.